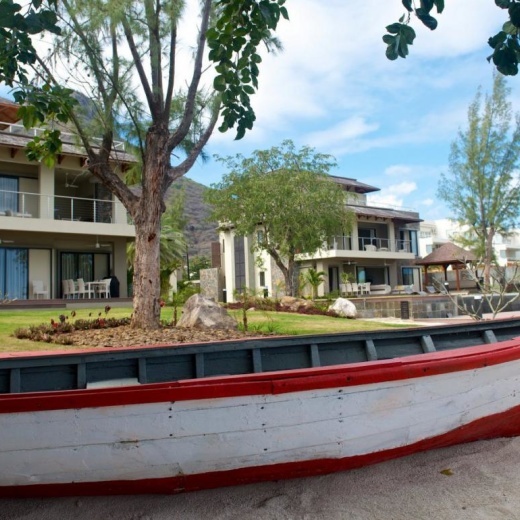 The resort is just over an hours drive from the SSR airport, 20 minutes drive to Le Morne Beach, 20 minutes drive to Flic en Flac and fifty minutes drive to Port Louis, the capital city. 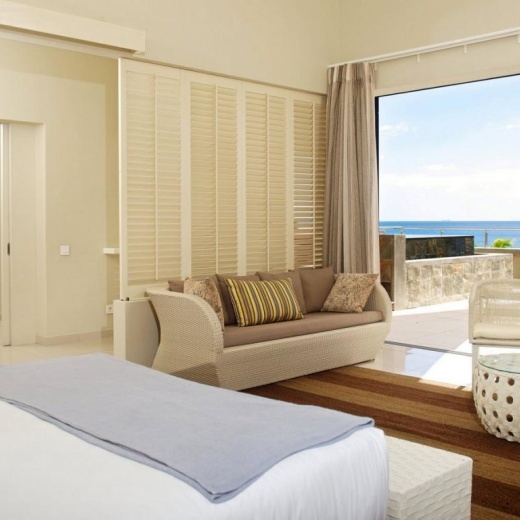 Located on the Island's warm west coast, is at equal distance between Le Morne and Flic en Flac. 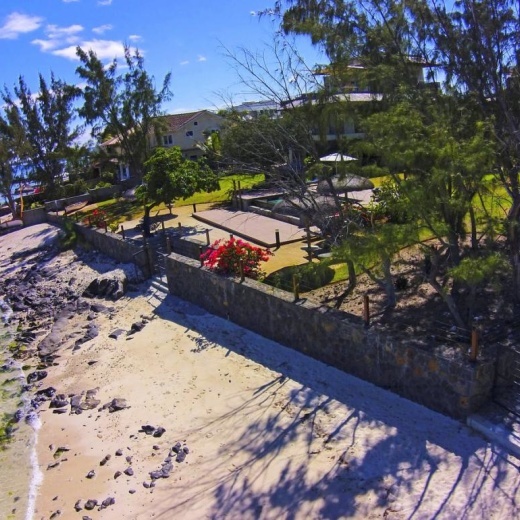 This once sleepy neighborhood, known for its beautiful salt pans, wide open areas and picturesque mountain ranges is slowly being transformed as the "place to be" in Mauritius with the steady influx of foreign residents and upmarket Mauritian families making it their home. The main places of interest span from Tamarina Golf Course all the way down to La Balise Marina with lots to offer. Predominantly residential, this neighborhood has only three small hotels but a wide range of quality shops and restaurants. The 4BR Beachfront apartment has a plunge pool and a common pool in the yard. There are sunbeds around the pools. There are 4 bathrooms en suite. High thread-count quality cotton linens are provided and changed 3 times weekly: bed-sheets, towels, beach/pool towels, bath mats, duvet & covers, pillows & cases. A complex manager is onsite 6 times weekly to supervise operations and attend to any issues you encounter during their stay. There is 24/7 security guards and cameras on common areas. Your private chef will cook your breakfast, lunch, tea time and dinner at your convenience at any time, with an additional fee. Housekeeping services is included in the price 6 times per week, if this service is required on Sundays and Public holidays a small fee is added. There is a sport complex called Riverland 5 minutes drive from the apartment where guests can play tennis. Guests can swim in the lagoon but there are no sunbeds on the beach.